Moshi Moshi Watermelon is a small South Florida based group. 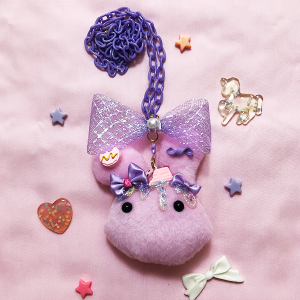 We started out in 2014 after realizing our desire to sell all things kawaii. Since then we've sold at over 40 conventions and our numbers continue to rise! We hope to slowly move up to other states and expand our fanbase so that we can provide our unique products to more people around the country. Until then, we have a selection of products available online for those who cannot purchase from us at conventions. Feel free to message us if you have any questions!